Aloha & Welcome to The Cowboy Calendar! 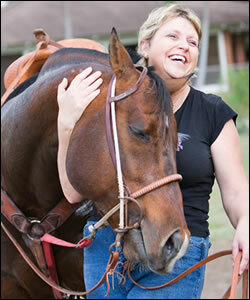 Welcome to The Cowboy Calendar, a site designed to help coordinate Western riding events in Hawaii. All of us have at one time or another experienced the frustration of wanting to be in two places at the same time and having to make tough choices. Do I go to the barrel race or to the roping; the jackpot rodeo or the team sorting? Hopefully, we can eliminate—or at least reduce—the need to make those kinds of choices. By checking The Cowboy Calendar, event planners can see what’s planned for any given weekend and can choose a date that’s not already taken. The Cowboy Calendar works in a couple of different ways. You'll be able to see the a mini-calendar on the Home page. Click on a date to create a list of what's happening that day (beneath the mini-calendar). Visit the Events page to see a larger calendar. Here you'll be able to view the events in a Calendar or Event List view. You can also add and manage your own events! It’s completely free of charge. Just click here, provide the information about your event (hint: give lots of details), and we’ll post it for you. You can even post a photo—and we all know that listings with photos get higher viewership, so send ‘em in!! Find rodeo events on Oah'u. Share your Hawaii rodeo event!